Heat oven to 400°F. Grease 9-inch pie plate. Cook ground beef and onion in 10-inch skillet over medium heat, stirring occasionally, until beef is brown; drain. Stir in seasoning mix (dry). Spoon into pie plate; top with chilies. Top it like a taco! 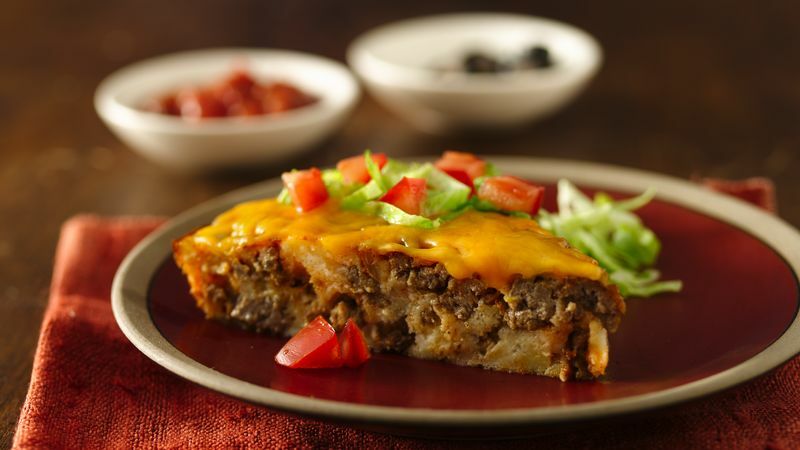 Pile slices of this zesty pie high with shredded lettuce, chopped tomatoes, sliced green onions and sour cream.